Call of Duty used to be a series that was at the front of the pack when it comes to innovations, but Black Ops 4 seems to be playing catch-up. During a roundtable interview at tonight’s reveal, I asked Treyarch’s developers if they were consciously taking things from other games or not, and if they thought this borrowing could leave a stain on the studio’s legacy as an innovator. 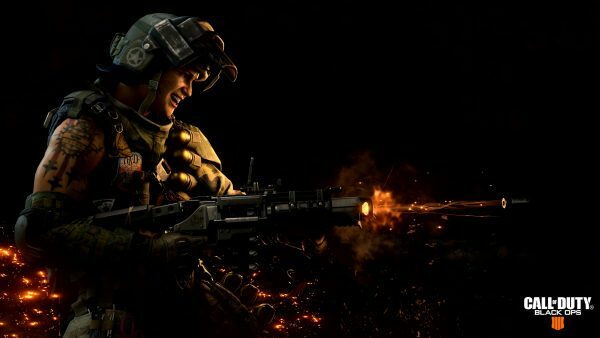 “How we look at it is, we are crafting our own experience with Black Ops 4,” producer Miles Leslie said. “We’re fans of all games, right? We’d be lying if we said we don’t play other games. We draw inspiration from anywhere, but if you look at the history, Treyarch tries to innovate as much as possible and make anything feel like our own. After a hands-on with Black Ops 4’s multiplayer earlier, I have to agree with that last point to an extent. Yes, it takes elements from other games, but the fact that it’s inside a Call of Duty game, which feels as fast and fluid as it ever has, does make it feel different. Still, the days when other games were copying COD feel far behind.